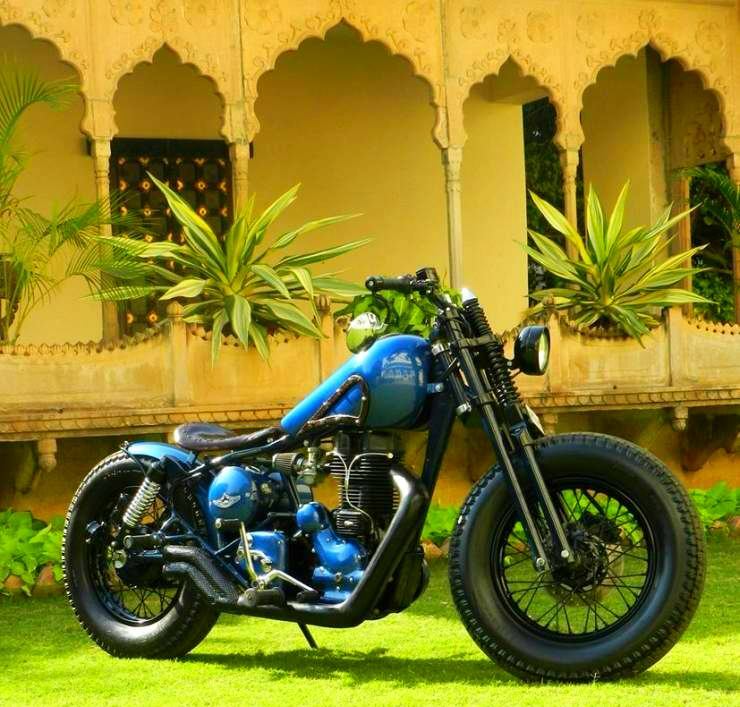 Continuing our coverage of droolworthy, custom motorcycles based on Royal Enfields, here is our 9th edition with yet another list of beautifully modified retro-modern rides. 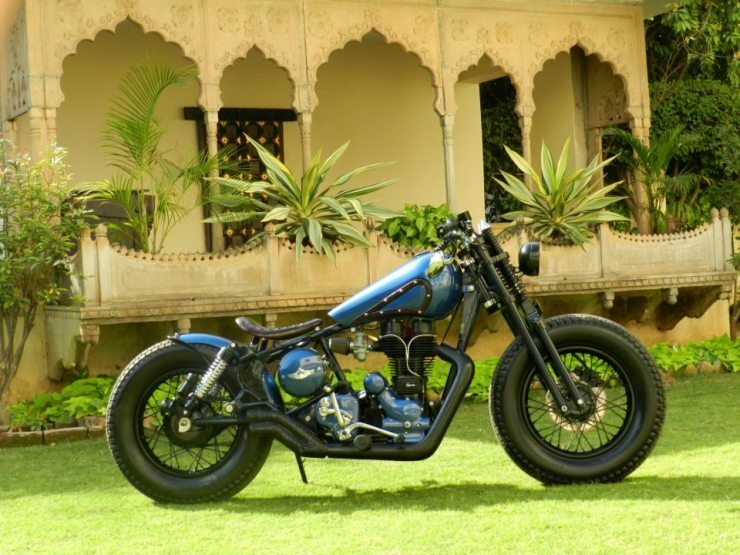 Rajputana Customs’ MP40 is a custom bobber powered by a cast iron 350cc engine, and is built around a Royal Enfield motorcycle that’s a couple of decades old. 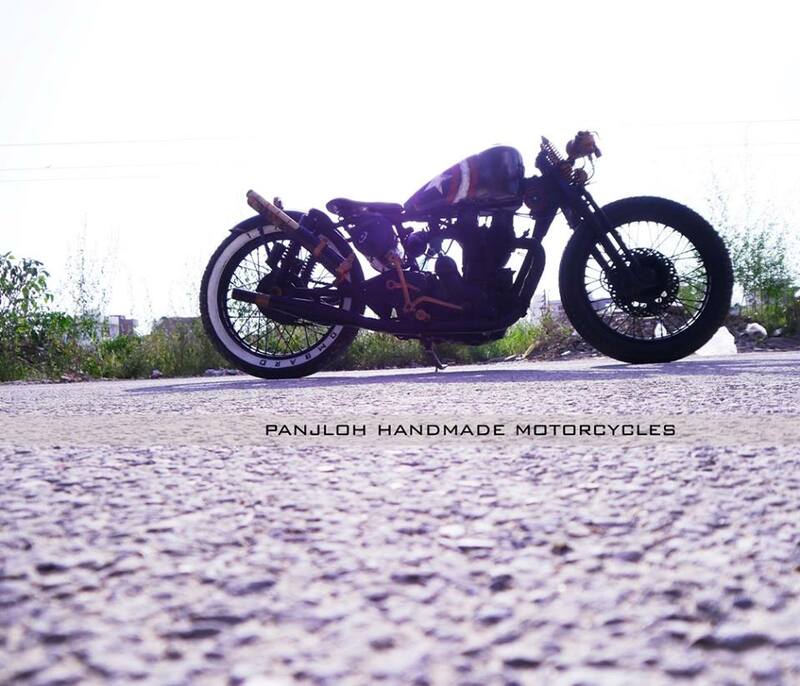 Apart from the single downtube frame that uses the engine as a stressed member and the engine itself, everything else around the motorcycle has been heavily customized. 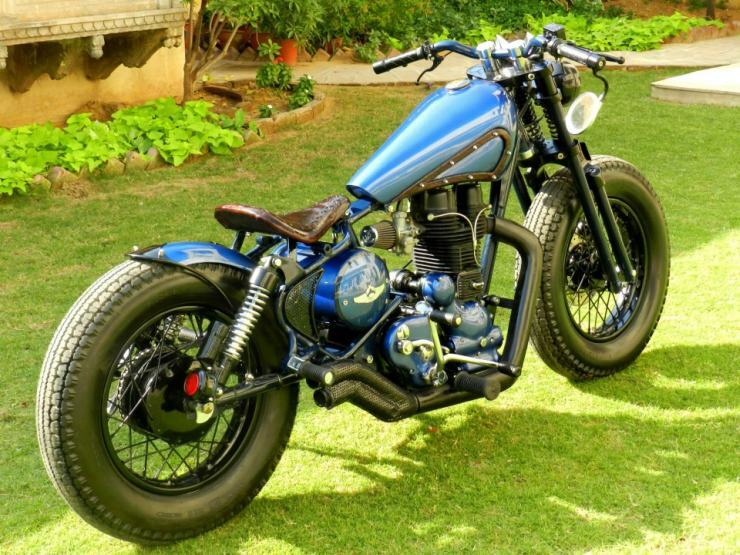 With a custom tank, springer front suspension, massive tyres and a leather single seat, the motorcycle comes finished with a blue paint job. 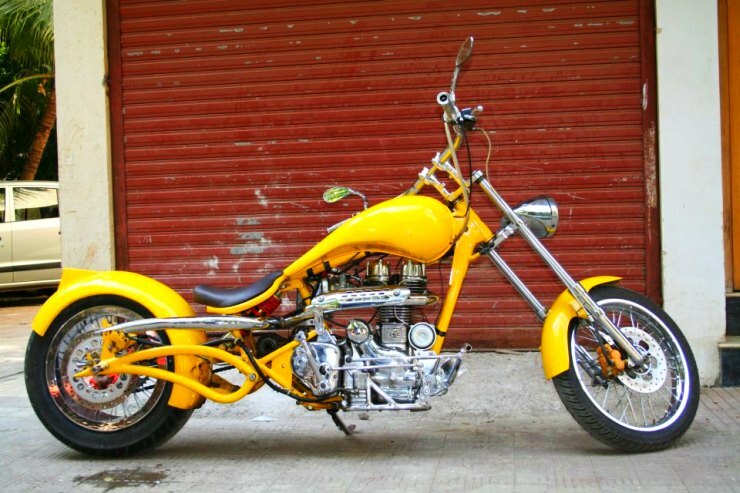 Vardenchi Customs’ Big Yellow is a chopper built around a Royal Enfield 350cc cast iron engine. 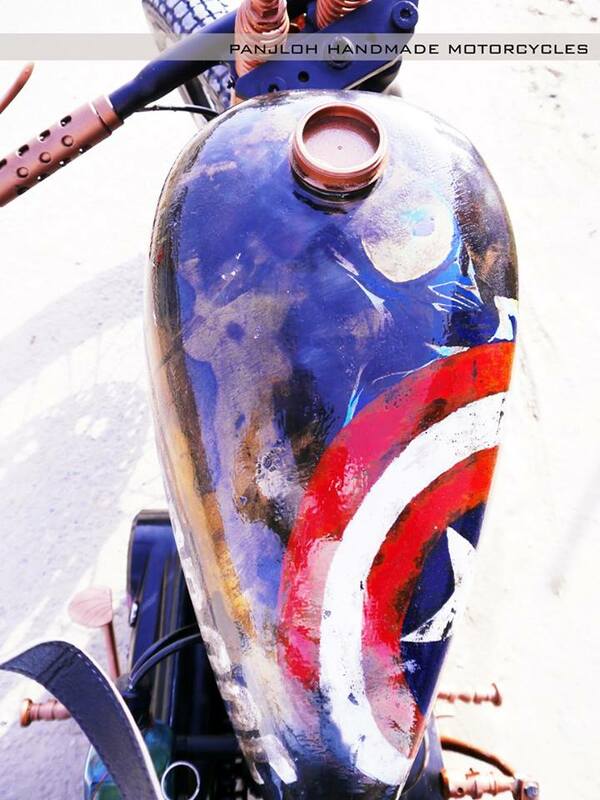 The motorcycle looks straight out of Captain America, in terms of the kicked out front forks, ape hanger handlebars, the single seat, a massive rear tyre with a large mud guard, a custom swing arm and a heavily chromed engine whose exhaust exits scrambler style. 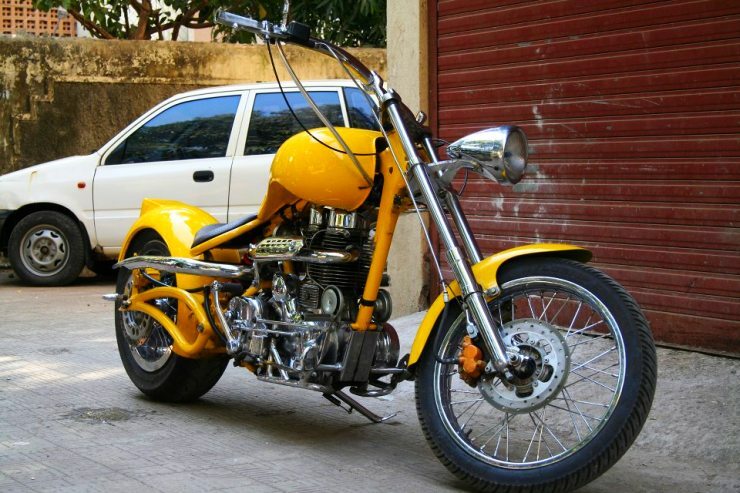 With a generous dollop of yellow paint, the Big Yellow has massive street presence and an “in-yer-face” stance. 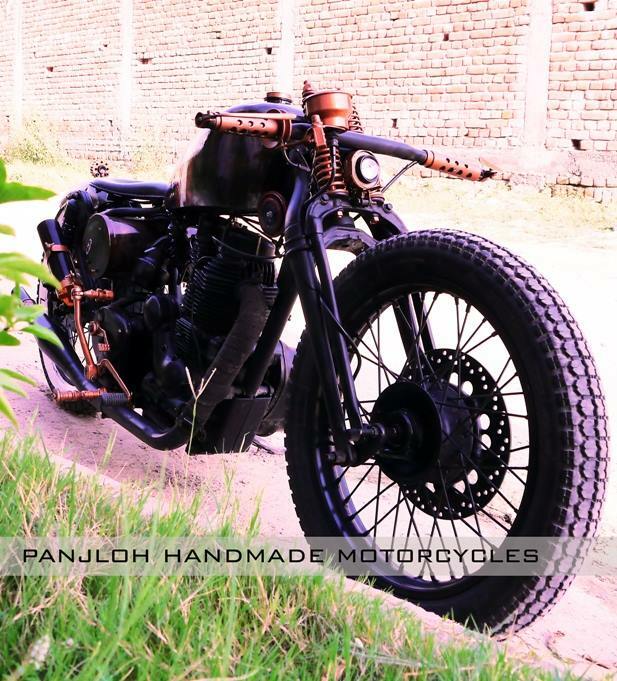 The Bombard from PanjLoh Customs is steampunkish, in that it uses plenty of recycled bits and has that well worn look that even makes it look a little ancient. The well worn parts are not there by accident though. 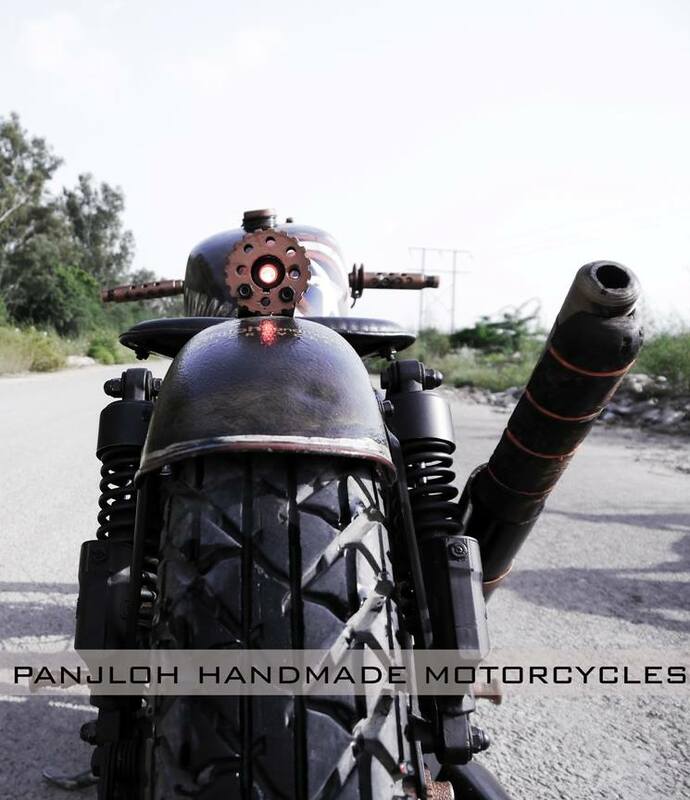 The whole idea behind this World War II inspired machine is to recreate a battle scarred look. 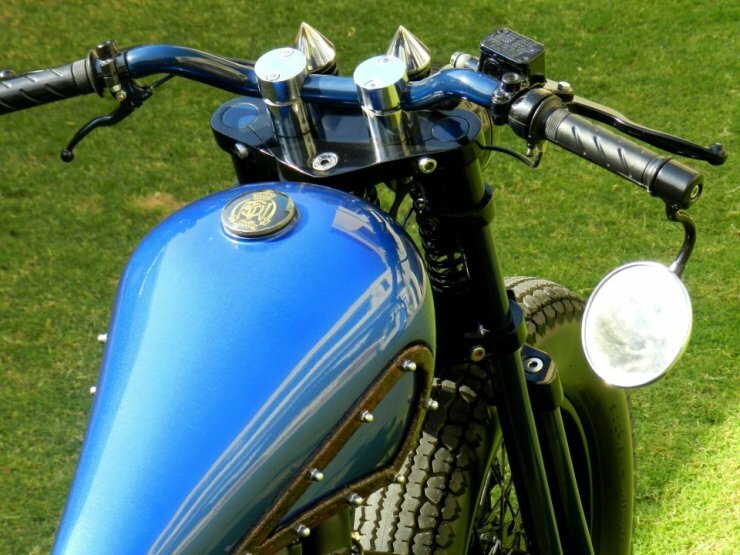 There’s an element of rawness to this custom bike, which also has a few Bohemian bits. 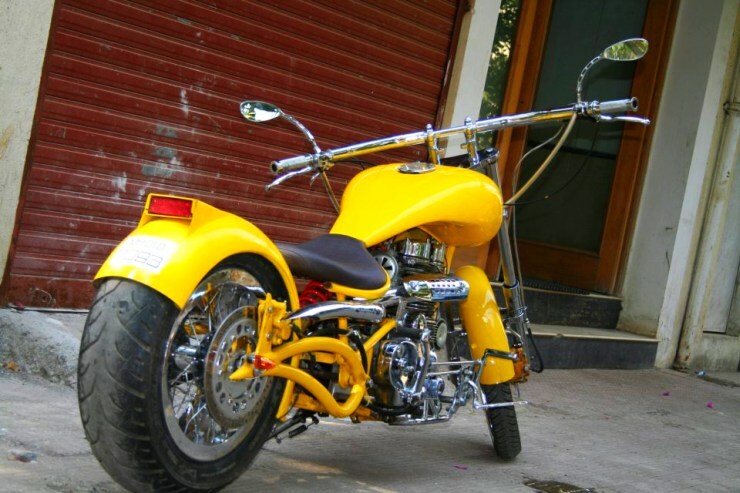 From the richly coloured tank to the custom painted side pannier, this ride has a brassy finish for the controls, handlebar and springer forks. 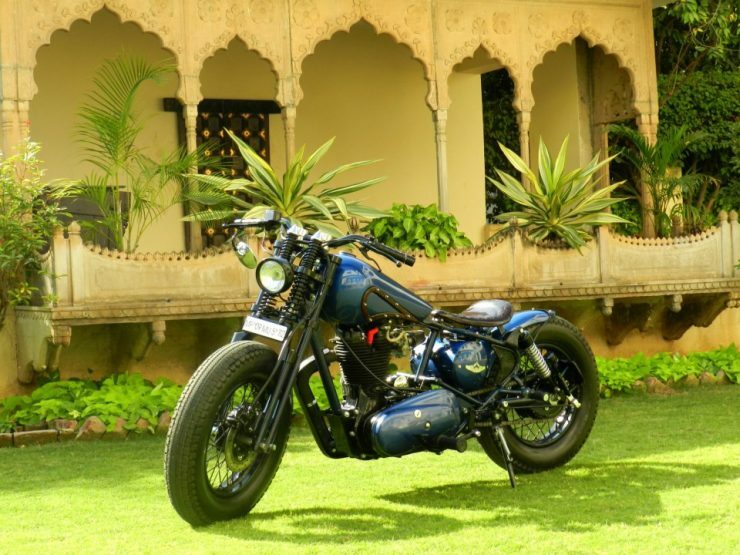 The Indori from KR Customs is a built around a Royal Enfield Unit Construction engine. 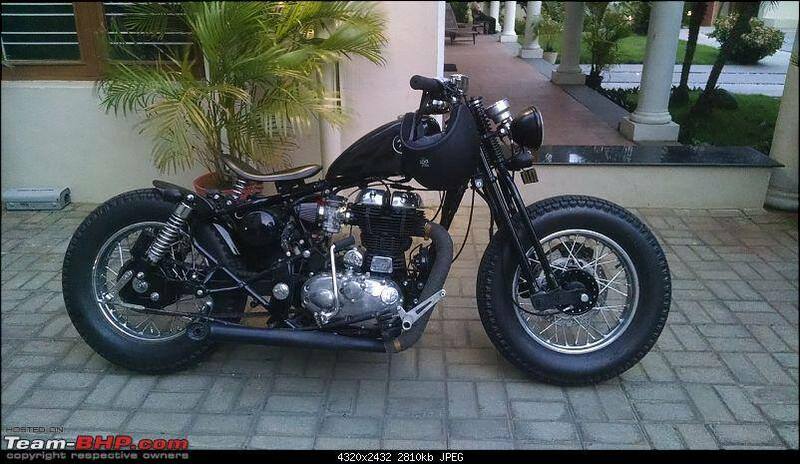 That’s modern but the rest of the motorcycle is pure vintage. 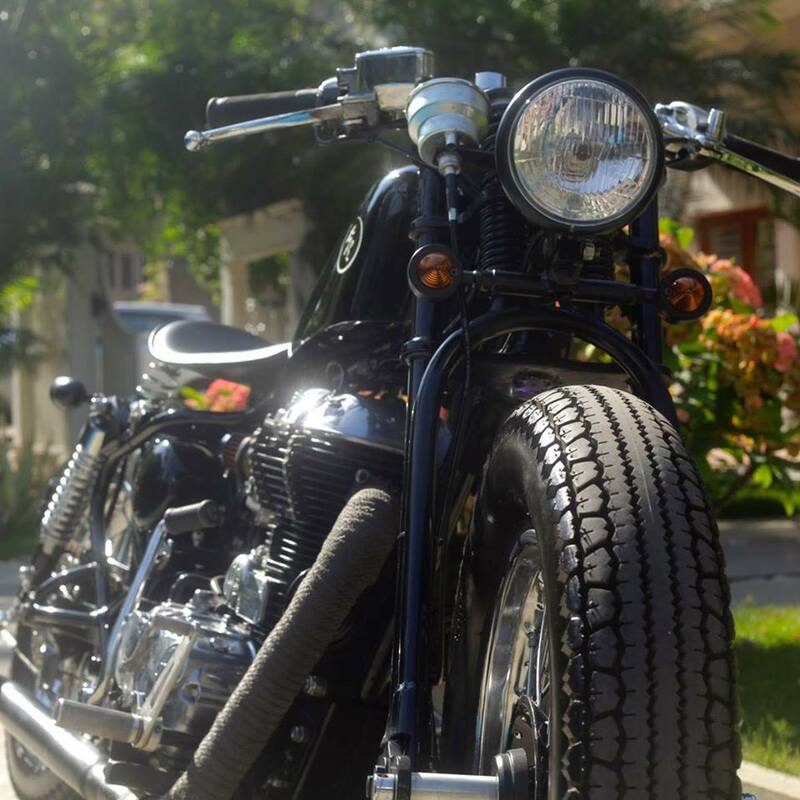 From a peanut tank, to springer front forks, a leather pannier, a single seat, custom mud guards, fat rubber at both ends, a round headlamp that’s set far our and a straight handlebar, the bike has plenty of retro bits that turn the clock back by a few decades. 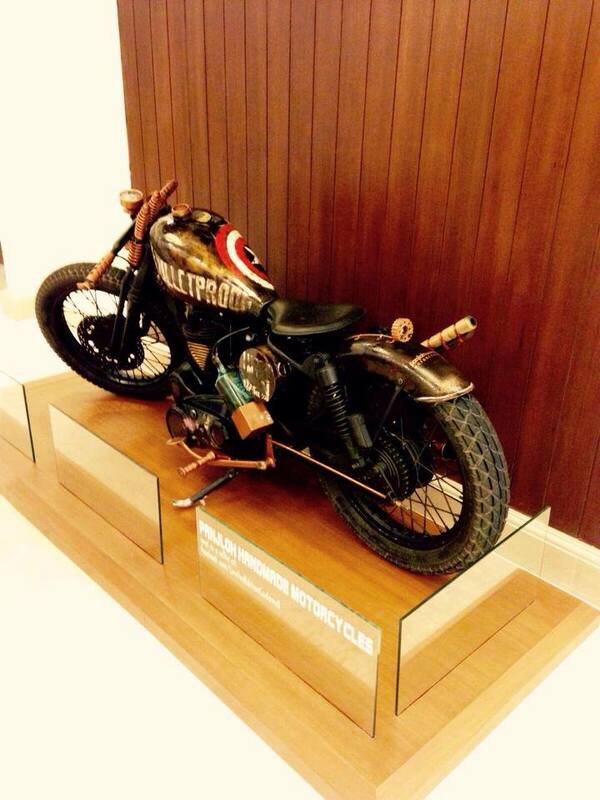 The Indori almost looks like a Harley Davidson from the yesteryears. 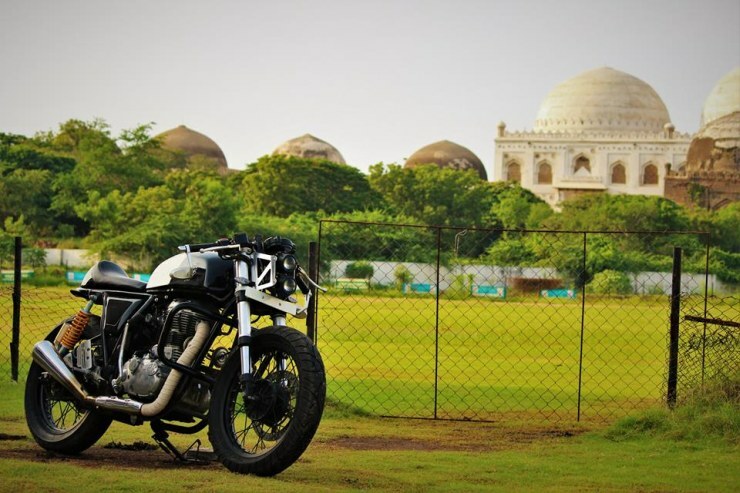 The Royal Enfield Continental GT 535 is the raciest motorcycle that the retro bike maker has built in recent times. 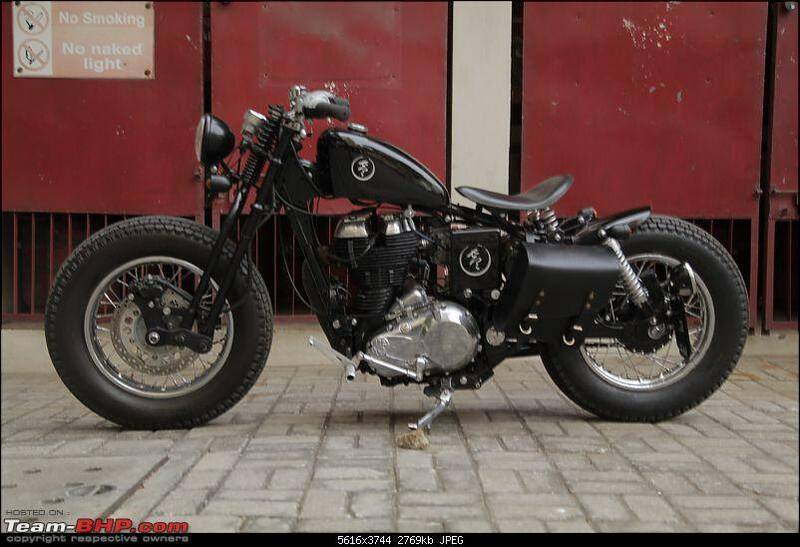 Buraq Customs of Hyderabad has given the bike some more racy bits. 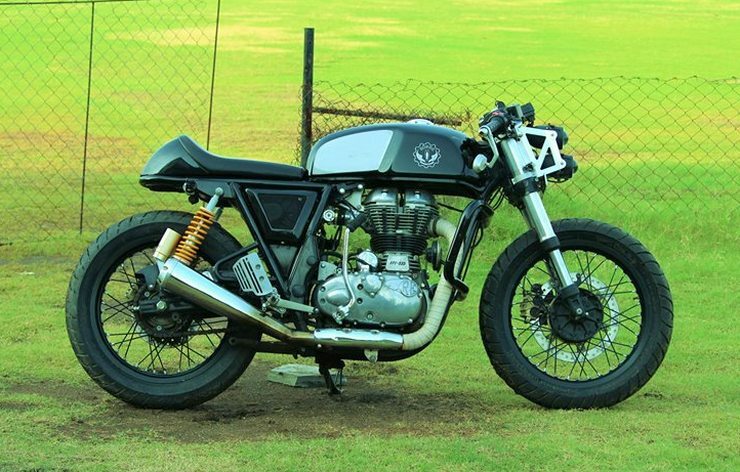 The end result is a bike that looks very, very sporty, while managing to retain the cafe racer air. One futuristic bit – Projector headlamps sitting in a metal Z frame. 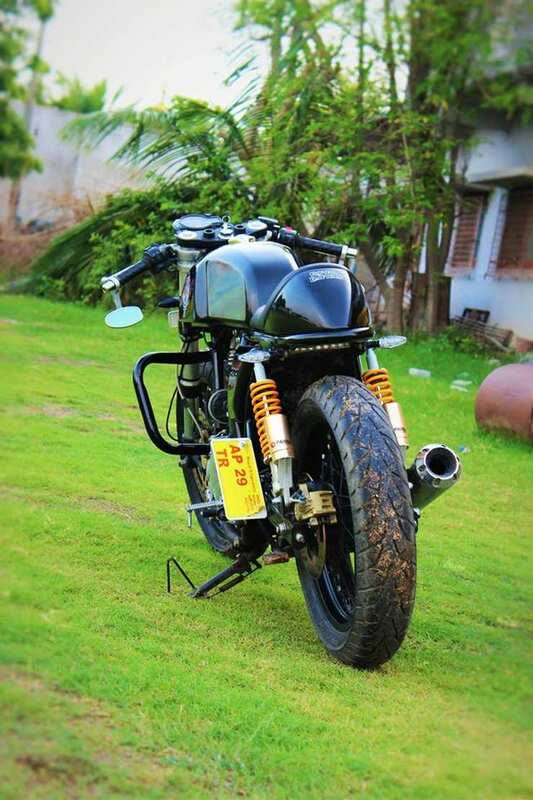 A shorter seat frame, a megaphone exhaust, custom dual tone paint job that’s very well disguised, and then you have the KTM front forks that add a lot of meat to the front end.